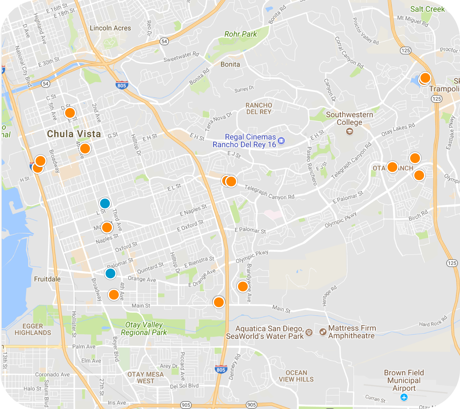 San Diego Home Sales website search offers all Chula Vista homes, condos and foreclosures for sale. You are able to get new property listings daily that meet your search criteria. 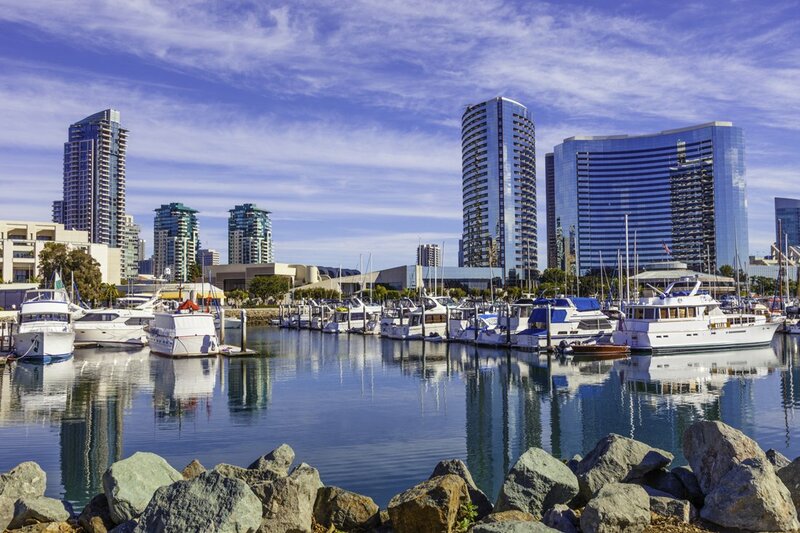 The second-largest city in the San Diego metropolitan area, Chula Vista, California, is a thriving community of more than 227,000 located about seven miles from downtown San Diego and about that same distance from the U.S.-Mexico border. It lies within the borders of San Diego County and is the seventh-largest city in southern California. The population has exploded in recent years, increasing by an estimated 50,000 from 2000 to 2007. In 2005, the median household annual income for households here was just over $64,000. Due to its close proximity to the Mexican border, nearly one-half of all residents in Chula Vista are of Hispanic descent. The city has five employers with more than 1,500 workers: The Sweetweater Union High School District, the Chula Vista Elementary School District, Southwestern College, Goodrich Aerostructures and Sharp Chula Vista Medical Center. Students attending public schools in the area will be assigned to institutions in the Sweetweater Union High School District and the Chula Vista Elementary School District. Southwestern College is a two-year community college that offers courses, certificates and degrees in a number of disciplines. Attractions in Chula Vista include the OnStage Playhouse, the only live theater in the South County area, the Chula Vista Nature Center, Knott's Soak City waterpark, the Cricket Wireless Amphitheater and the Third Avenue Village. The city is also home to one of three American Olympic Training Centers and is just a few miles north of the border with Mexico. It hosts several annual festivals, including the Lemon festival, the Starlight parade, and the Chula Vista Rose festival. The name Chula Vista means "beautiful view" in Spanish, and the community was founded in 1889, after the Sweetwater Dam was completed and made farming lands available. The area's lemon farming industry began to flourish, and it was the largest producer of lemons for a period. Today it takes up an area of more than 50 square miles.